Today’s daily prompt: If you could un-invent something, what would it be? Discuss why, potential repercussions, or a possible alternative. I’m afraid my answer to this prompt won’t be too popular but here goes anyway. I would un-invent alcoholic beverages. 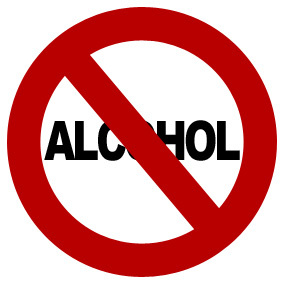 Alcohol causes too much pain and heartache in this world. I’ve lost loved ones due to alcohol and in my opinion, one death to alcohol is one death too many. I’ve seen it destroy people and families. It’s sad and tragic really. And senseless. This prompt also asks what the repercussions would be. US adults drank too much and got behind the wheel about 112 million times in 2010. Alcohol-impaired drivers* are involved in about 1 in 3 crash deaths, resulting in over 10,000 deaths in 2010. I think the world would be a lot better place if there were no alcohol. I wish it didn’t exist. This entry was posted in Addiction, Daily Prompt and tagged alcohol, alcohol abuse, alcoholic beverages, alcoholism, Cancer, cirrhosis, death, drunk driving, DUI, health, postaday, wordpress. Bookmark the permalink. Thanks. I’m glad you approve. I was hesitant to post this for fear that I would get some snarky comments. Yes, alcohol is addicting and does ruin A LOT of lives. Wow, you’ve really given this a lot of thought (and it’s well written!) I must say, I agree totally. Thanks Carol. I’m glad you agree. I once went to a funeral of a 15 year old daughter of friends of mine who was tragically killed by a drunk driver. She, her boyfriend, and her boyfriend’s mother were killed instantly when this 19 year old drunk teenager chose to drink to drunkedness and then get behind the wheel of his car. He ran a red light and slammed into the side of their car, killing all three of them. I hope I never have to attend another funeral like that again. It was horrible. He spent just a few years in jail for vehicular homicide. What’s ironic is that he has driven drunk again and wrecked several more times since getting out. Apparently, killing three people didn’t faze him. It makes me sick to my stomach to think about it. Thanks… and yes, you’re so right!